Website of the Rotary Club of Mundaring Inc. 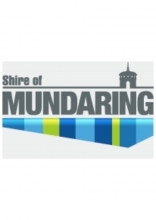 The Rotary Club of Mundaring Inc.
Meeting Calendar Public Events Calendar Public Folders Photo Gallery InAust - Club Listing Mundaring Sunday Markets	Webpage Advertisements	Want to speak at our club? This Week's Speaker is Ryan Pohl who will speak on the topic "Science Experience"
...And Next Week's Speaker is not yet scheduled. 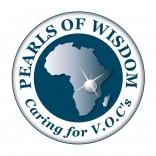 Pearls of Wisdom is a Rotary Australia World Community Service (RAWCS) project. Proudly sponsored by The Rotary Club of Mundaring W.A. Inc.
We are a not for profit organisation providing care, education and a place to call home for vulnerable and orphaned children (VOCs) as well as building community development opportunities in central rural Uganda. Our beautiful range of Ugandan crafts and crafts are made and donated by West Australian artisans who support the project. 100% of the proceeds go to Pearls of Wisdom! Established in 1971, the Rotary Club of Mundaring has a proud record of support for the local community. The club also supports Rotary initiatives and projects that are State, and Australia wide as well as international projects such as polio eradication and Shelterbox - a very successful initiative that provides the essentials for survival in disaster areas around the world. Good fellowship is a feature of our club, which has many long-standing members who participate because of the satisfaction derived from servicing the community and helping others in need. The club features a mix of people of both genders from varied backgrounds and professions, which enhances networking and contact with the local and wider community. Meetings: The Rotary Club of Mundaring meets weekly on Wednesday evenings at the Mundaring Sporting Club 665 Coolgardie St. Mundaring at 6:15 for 6:45 (Meetings usually close at about 8:30). An informal dinner is provided at a minimal cost, usually with a topical speaker, and partners are encouraged to attend. We are very happy to welcome those who want to know more about Rotary to our meetings as our guest. Please contact the Secretary at the number below for further information. Fund raising: The club runs a major fundraiser, the Mundaring Sunday Markets, which are held on the second Sunday of every month, except January, in Nichol St. Mundaring. Contacts: See 'Club Contacts' in the LHS menu.